We pioneered the concept of the book superstore, combining vast inventory selection in books, music, DVD and magazines with comfortable ambiance. Our cafe and local marketing programs have made our bookstores anchors in their communities and great places to spend leisure time. 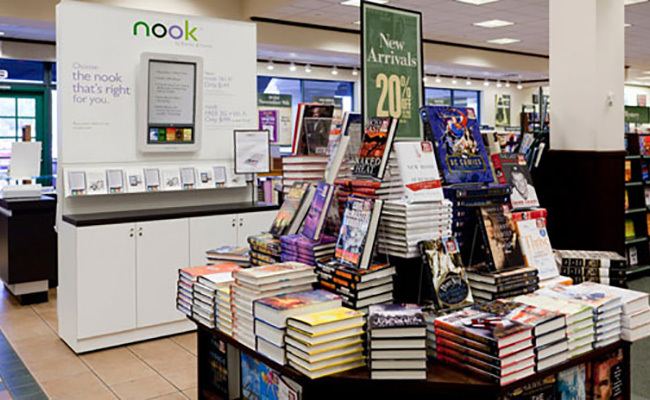 Barnes & Noble, Inc. (NYSE: BKS), a Fortune 500 company, is the world’s largest bookseller, operating 840 stores in 50 states. Harris Interactive ranked Barnes & Noble the No. 1 brand for quality among retail brands in America in 2002, 2003 and 2004.